It’s no secret that writing headlines is an important skill for any writer. And I’m talking about headlines of all kinds: the title of an article, the subject line of an email, the teaser on an envelope, the header on a web page, the post title to a blog – even the caption to an image. Each of these functions as a headline – that is, text that introduces. So if you get stuck in the process of writing a headline, you can try at least 3 ways to get your creative juices flowing. Each of these words has strengths. What, When, Why, and How: these help me frame the headline as an explanation, the classic which is, “How To …” followed closely by “What to Do When …” or “What to Do If …” But don’t stop there. Use What, When, Why, and How just as starting points. I get good headline ideas when I study these words, too. I like how these words show the reader that what follows will help her solve problems. If you can refer to a celebrity (or public figure) or even quote one, use his or her name in your headline. If possible, avoid using the word things. If you find things in your headline, go back and figure out why you’re equivocating. Find a way to use a more precise, descriptive word. 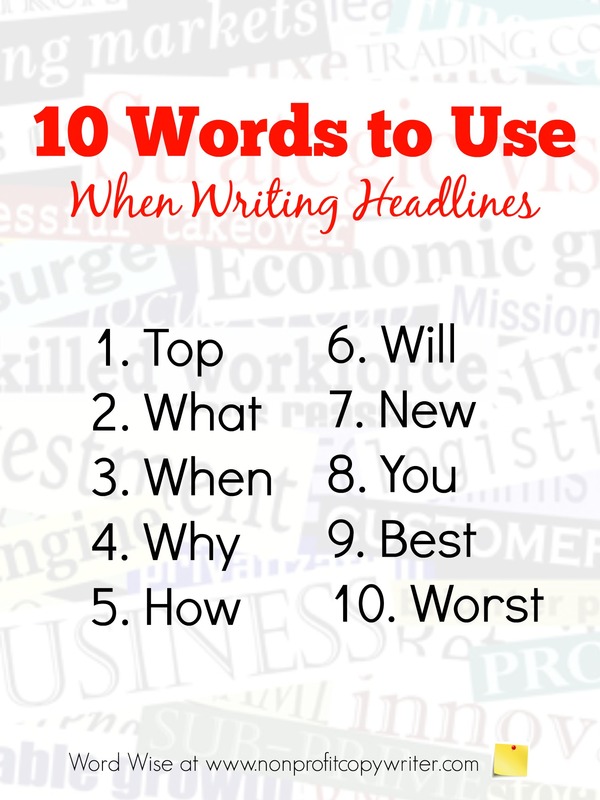 How to Write Better Headlines: check out this quick, low-cost writing course by Nick Usborne. 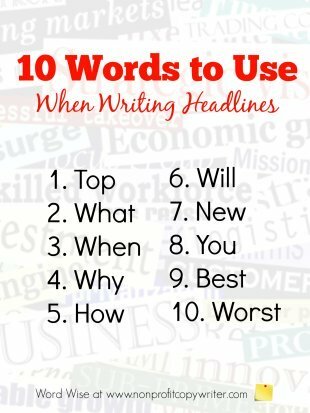 It's a super-fast (and super-affordable) way to build your headline-writing skills. Does Your Headline Do Its Job?